Media and Contents: 72 pale grey plastic parts on two sprues, 44 dark silver plastic parts (L&L tracks) on one sprue, decals for four vehicles plus a 4 page fold-out instruction sheet with history, parts plan, 12 build diagrams and 2 pages of paint/decal instructions. Advantages: Considering this kits age, it's well moulded and detailed with excellent decals and instructions. Disadvantages: L&L tracks are a bit over scale causing the drive wheel to have too few teeth. The engine deck sides should slope in towards the centre instead of being vertical. 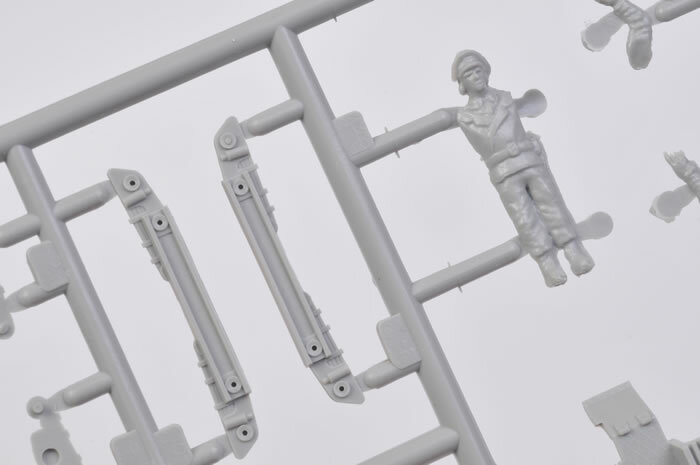 The mould halves for the figure do not line up although no other parts seem to be affected. The above faults aside, this kit can still be built into a detailed and attractive model with room still for super-detailers. The Panzer I, although built mainly as a training tank, was used operationally at the start of WW II but was taken out of front-line service quite quickly due to its lack of armour and fire power. 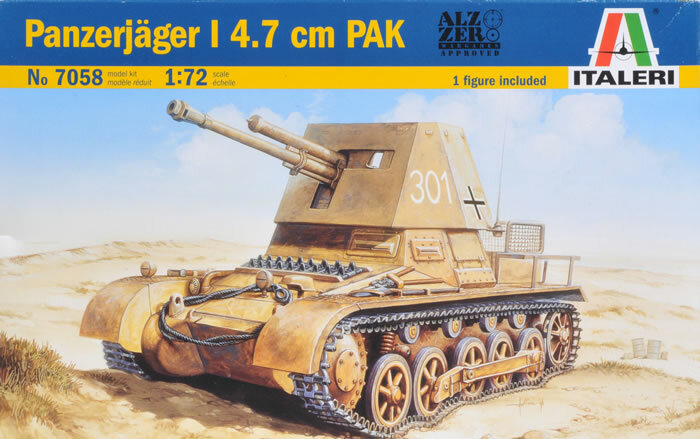 However, its life was extended by mounting various guns, such as the Sig 33 and 4.7cm Pak 43 anti tank gun, on the lower chassis to form an effective tank killer. 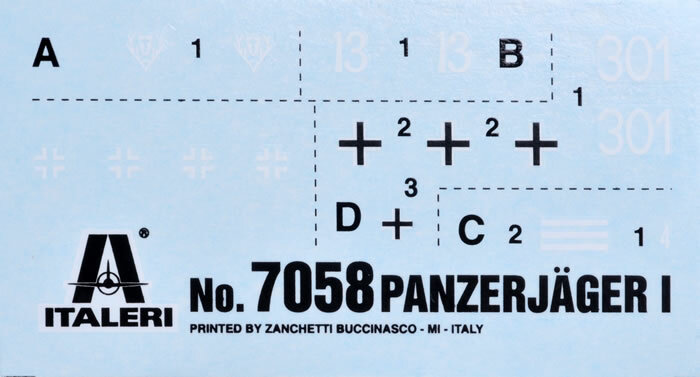 Italeri’s 1/72 scale Panzerjager I is the ex-Esci kit from a few decades in the past, which was itself based on their Panzer I. 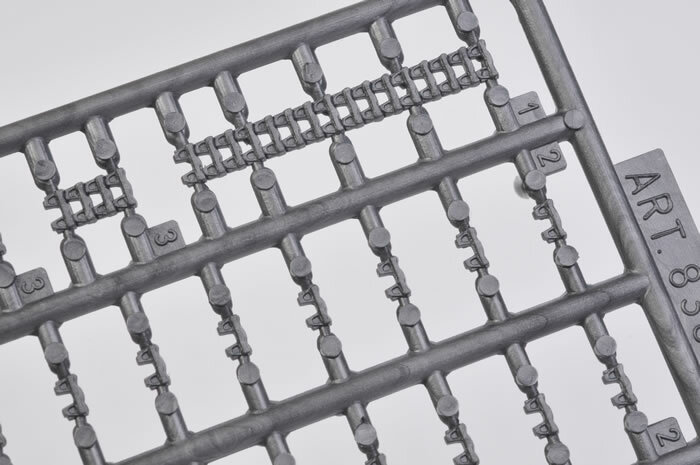 The “A” sprue is from the original Panzer I kit and contains upper and lower hull, suspension, wheels and all the smaller parts. The turret sprue from the original has been removed and replaced with one that comprises the crew compartment upper, 4.7 anti tank gun and shield. 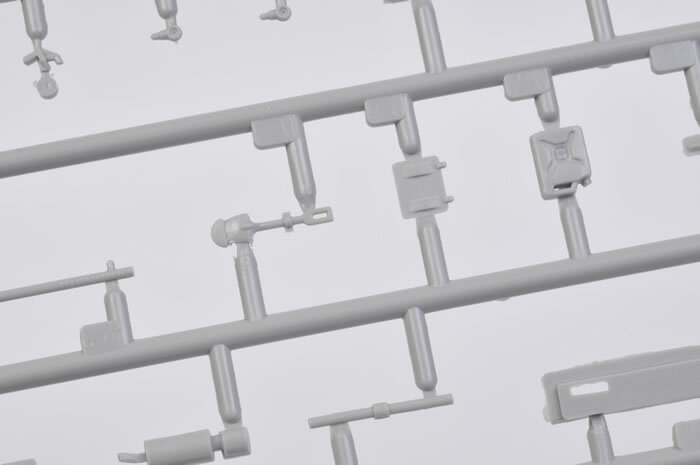 The third sprue’s link and length tracks are also from the original Esci Panzer I kit. With a parts count of 116, this is still a very good kit considering its age. However, there are some faults that stem from the original. 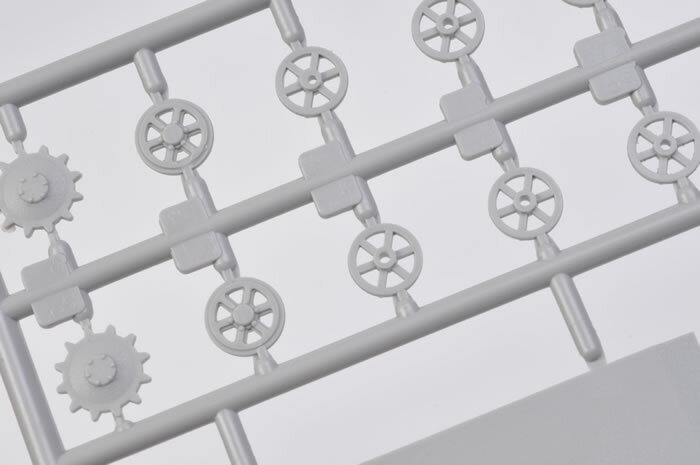 The tracks are slightly over scale causing the drive sprocket to have 14 instead of 20 teeth; while the engine deck sides should slope towards the centre rather than being vertical. These faults notwithstanding, along with Italeri's excellent moulding, decals and instructions, you would think this a brand new kit. 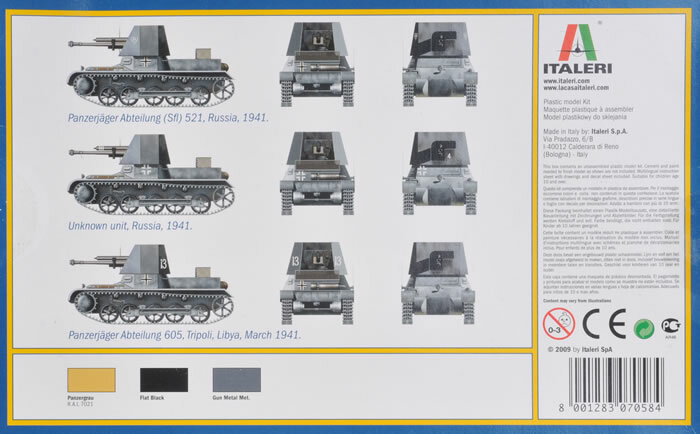 Four vehicles are covered by the small decals sheet - Panzerjager Abteilung (Sfl) 521, Russia, 1941 and Panzerjager Abteilung 605, Tripoli, Libya, March 1941. Both of these vehicles are in the early war dark grey scheme. Next is another desert vehicle, but this time in overall desert yellow from Sonderverband z.b.V. 288, Libya, 1941. The last is another dark grey machine from an unknown unit in Russia, 1941. This is a nice little kit with a few faults, but nothing major. Thanks to Italeri for the review sample.